For the past three weeks, we’ve been focused on listening and learning. As a company, we’re used to patching problems ASAP, but this patch will not happen overnight. We will weave this change into our cultural DNA and leave no room for sexism or misogyny. Inclusivity, diversity, respect, and equality are all non-negotiable. While there is much to improve, there is a tremendous amount of good at Riot that will drive this change. This is our top priority until we get it right. To Rioters, contractors, former Rioters, and past contractors: We’re sorry. We’re sorry that Riot hasn’t always been—or wasn’t—the place we promised you. And we’re sorry it took so long for us to hear you. In the days, weeks, months, years to come, we’re going to make Riot a place we can all be proud of. To players and fans, past and present: We’re humbled by the time you’ve spent with us. We know that the studio behind a game can be an important part of how you feel about that game. We know we’ve let you down and we’re committed to fixing that. 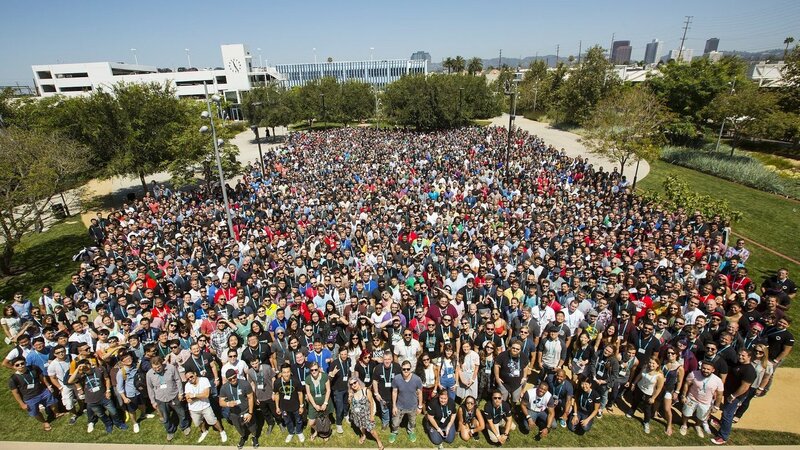 To people considering a career at Riot: We understand if you have some doubt or hesitation. But we also need you now more than ever. We need people who will drive change and fight for what’s right. Building Riot wasn’t easy. Rebuilding it won’t be either. But the promise of Riot’s future is stronger than ever and if you’re up for being part of the solution, we want to meet you. To current and prospective partners: We know you have questions about Riot’s culture and our future. We ask for some patience as we focus internally on taking the steps to heal and improve. We’re committed to you, as we are to Rioters, that we’re going to set the bar high on culture and that we’ll update you as we make progress. We’re committed to doing things the right way, and we know the change we need isn’t going to happen overnight. We are taking everything we’ve learned from Rioters and leading culture-change experts, and we are starting to develop a plan with substance. Rioters have told us that the steps we have taken thus far aren’t enough, and we agree. The issues we face are serious, and to drive this change, we need to fully understand the root of the issues. This transformation is going to be the source of our future strength as a company. To get there, we need to evolve our culture, while preserving the good things that we think make Riot special. Expanding the Culture, Diversity, and Inclusion (D&I) Initiative: We’ve built a new team to lead our cultural evolution. This group and their work will impact every corner of this organization, and will also accelerate our existing cultural and inclusion work. We are all committed to keeping the best parts of today’s Riot—like our focus on player empathy—while tirelessly looking toward the future. The team will be accountable to our CEO, Nicolo Laurent, directly. We have expanded our internal team and brought in an outside law firm to assess our policies. They’ll also be working side-by-side with talent partners to investigate any new claims raised by Rioters to provide an additional, unbiased layer to all of our investigations. We’ve always believed that Riot should be the home for the very best talent in gaming. It’s clear we’ve fallen short of that goal. But we’ve never backed down from a challenge before and we don’t plan to start now.